Hand painted and slightly distressed buoy lamp. 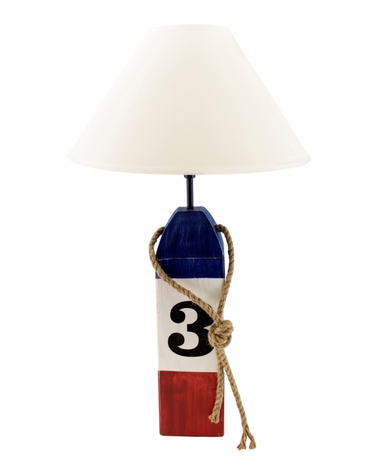 The base has colorful red/white/blue stripes with the number 3 stenciled on the lamp. 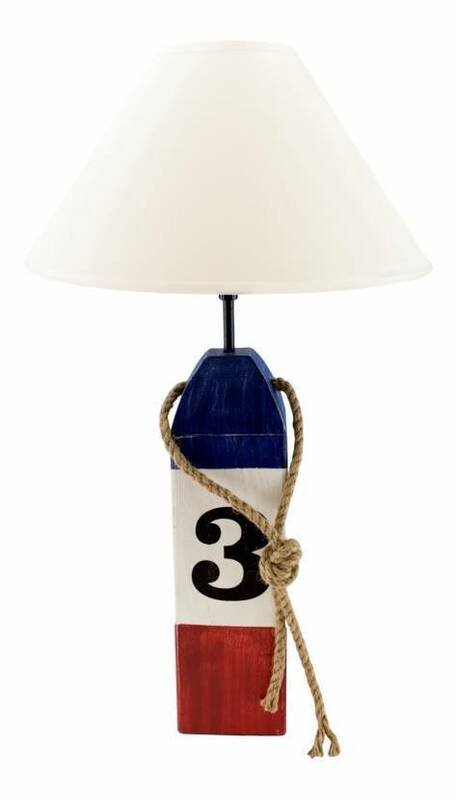 A great way to add a nautical flair to your cottage or lake house. Includes linen shade. Holds one 60W light bulb (not included).